13 Fishing Omen Green Saltwater Rods are something you have to try to believe. 13 Fishing Omen Green Saltwater Rods feature Toray carbon fiber graphite blanks made in Japan that provide amazing sensitivity and loads of power. 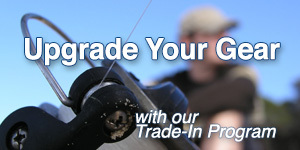 Add Evolve aircraft grade Titanium "Y" guides with Zirconia inserts, premium grade cork handles, custom reel seats, and a 5 Year Limited Lifetime Warranty and you have one fantastic fishing rod that delivers power, sensitivity, and balance for an amazing price.